Lucy Adams was the BBC’s HR director during one of its most turbulent periods. As the organisation dealt with a series of very public crises and scandals, she faced a torrent of criticism for her decisions and actions. 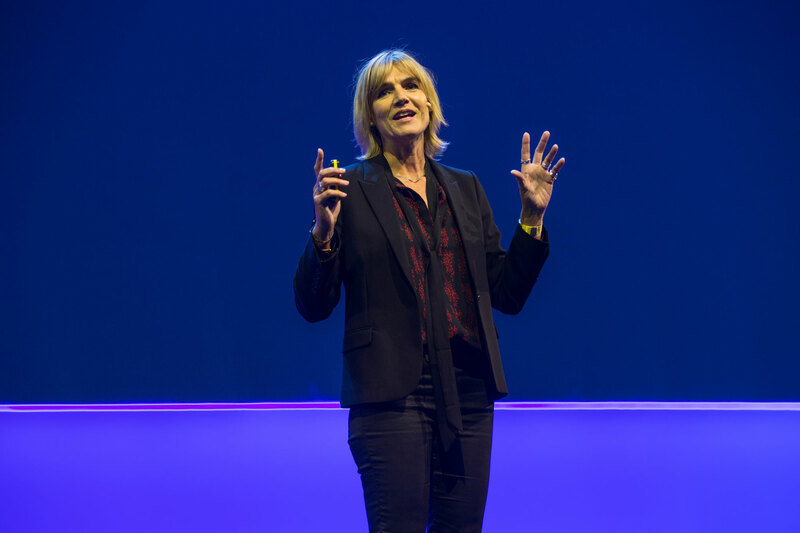 During Xerocon London, Lucy drew upon her experience at the BBC and in other senior HR roles. She talked about why delivering change isn’t always popular, and why many accepted ideas of leadership aren’t up to the job. Lucy’s business, Disruptive HR, helps leaders and those in HR to manage people in unique and creative ways. We’re currently living in one of the most rapidly changing and disruptive periods. And with a multigenerational workforce, expectations of millennials, trust in leadership and popularity of new work trends, it’s difficult to keep up with it all. At Xerocon, Lucy challenged us to think about how we can increase productivity, engagement and innovation with our employees so that we can bring the best out of our workforce. Lucy left us with a new model for implementing HR practices in our workplace. Let’s put the ‘human’ back into ‘human resources’. “A lot of our relationships are not very adult – they’re very parental.” Looking after our employees comes from a good place, she says, but it is infantilising. “Generally, our approach to policy development is that we don’t trust: we create a rule or policy that stops anyone from doing anything bad ever again. The downside of this is creating a culture that is parent-child. This leads to passivity and compliance, but doesn’t drive challenge, innovation and risk-taking.” Treat your employees like adults, and they’ll deliver incredible results. Lucy shared how humanity in leadership is also very important. Asking your employees about their day, admitting wrong-doings or lack of knowledge, or valuing their input in a decision. These small changes generate higher levels of trust and drive the innovation and resilience that we need in today’s workforce. A really insightful speech, that resonated with me! Thank you Lucy, it was great to be in the room.